Simple ingredients. Simply delicious. Simply good. 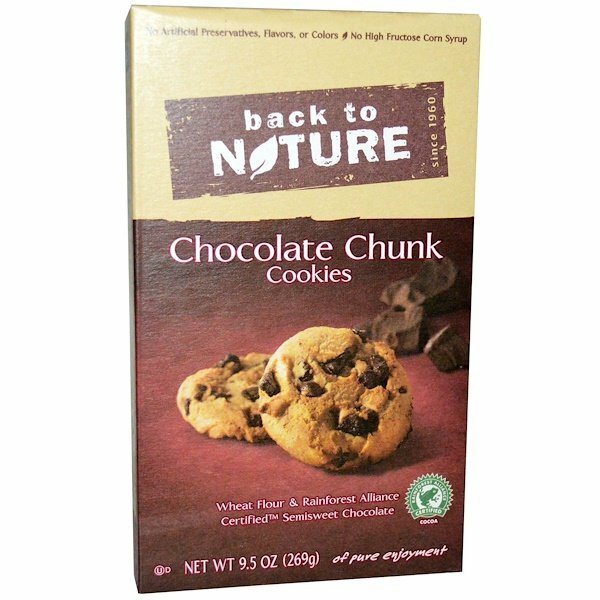 For over 50 years, Back to Nature has passionately created foods with wholesome grains, real nutrition, and the delicious flavors of nature free from artificial ingredients. We give people truly flavorful, wholesome foods made with simple ingredients. 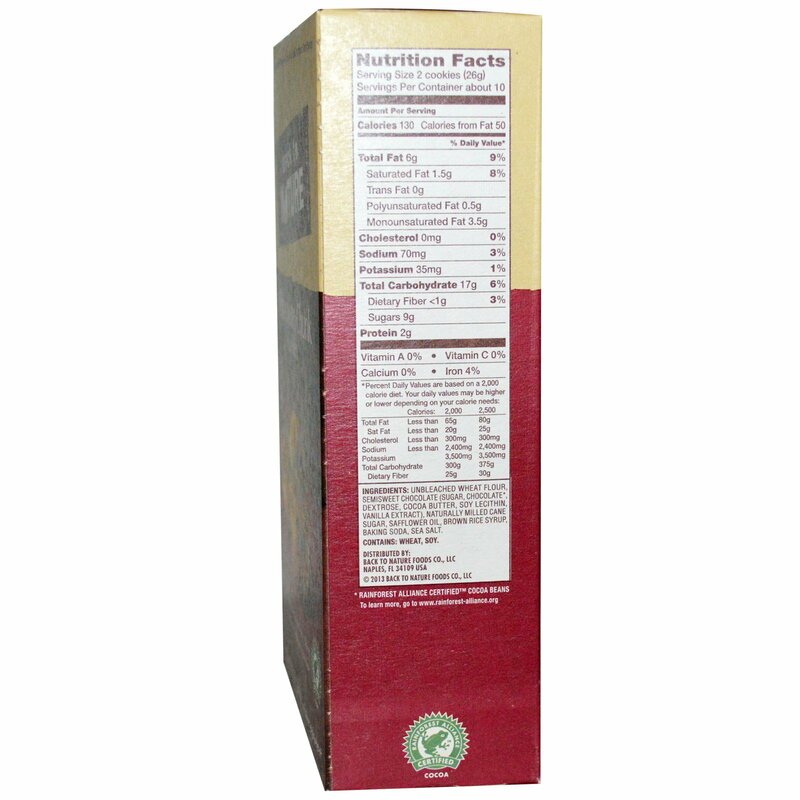 Unbleached wheat flour, semisweet chocolate (sugar, chocolate*, dextrose, cocoa butter, soy lecithin, vanilla extract), natural milled cane sugar, safflower oil, brown rice syrup, baking soda, sea salt.